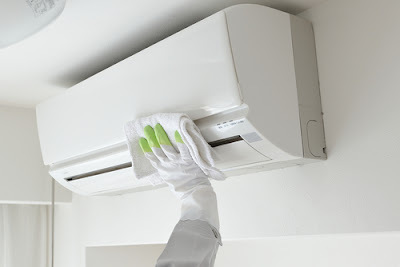 Absolute Services : What Are The Common Causes Of Leaking Aircon? One common problem facing many homeowners in Singapore is leaking Aircon. If allowed to develop, a leaking Air conditioner becomes messy and cause significant damages to the walls, floors and ceiling. The good news is that most Aircon leaks can be prevented with the right approach. Knowing the common cause of the leak is the first step to proactive action. In this article, we will explore some reason why your conditioner might be leaking and the proactive action that you can take, and what you can do if it happens. One of the most common problems behind a sudden leak is clogged drain line. When the conditioner’s drain line is clogged by debris, dirt or molds, the unit’s water will stop to move freely out of the conditioner and since Singapore is hot and humid, your Aircon runs more often, so it won’t take a large amount of water to build up. The root issue may be a dirty evaporator coil. As the dirt mixes with the water, it drips into the pan, hence clogging the line. Another root problem may be that the drain pan has rusted allowing water to fall through the pan, causing disastrous leaks. What to do: Routine preventative maintenance from a trusted professional is necessary to avoid this from happening. He or she will inspect the conditioner's condensate trap and advise you on a way forward. You can also clean you A/C using a wet/dry vacuum at least after three to four months, or even more frequent depending on the level of dust, but the best surefire way is to let a professional do it. When you open the blower door of your air conditioner, you will see the evaporator coil. If you find accumulated ice, then it means that melting is slow causing water to flow over the drain pan and to the floor. There are few things that can cause a frozen evaporator coil, but the main one is a dirty filter which restricts air flow over the coil. Without warm air passing through, the coils temperature will drop low, and that’s why you see the accumulated ice. What to do: The best cause of action when your evaporator coils freeze over, is to call a professional A/C expert, so that they can conduct a refrigerant leak test or do find out the root problem and prevent it from happening again. But before they arrive, go to your thermostat and turn it off, in order to begin the thawing process. Prolonged operation under such situation will definitely damage the compressor, so make sure you shut it off immediately. If you can check the intake side and ensure it’s clean, and if it is dirty use the correct cleaners and brushes. Don’t use wire brush! Your a/c condenser pump, a shallow receptacle you see beneath the coils, might be broken, especially if the unit is installed in the basement. Any malfunctioning of the condensate pump, which mainly comes about as a result of breakage or dirt can cause water leakage from your Aircon. What to do: You can test the pump by pouring some water in the unit condenser pan, and determine whether it can adequately pump out water. If not, make sure the power is on and functioning, and if the power is fine, it means that there is a problem that needs an HVAC repairman. 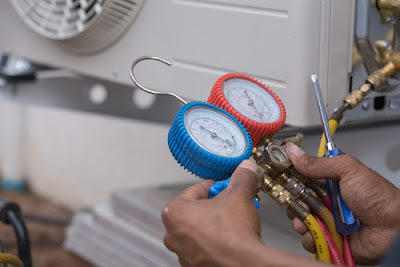 If you’re a/c system wasn’t installed in a proper position or may be the connection in the drain system aren’t tight as they are supposed to be, then there are high chances that your air conditioner will leak. A tilted a/c for instance, will not be able to drain all the water accumulated during the condensation process. On the back of your indoor a/c, you will find insulation installed where the unit connects the wall. The insulation system helps soak up the condensation growing on the pipes close to the wall. If this insulation was not properly installed or is worn out, it will lose its capability to absorb the condensation produced by a/c causing a leak. What to do: Clearly, the only way to avoid such problem is by letting a reliable technician do the job. Regular maintenance is highly recommended. During a typical maintenance visit, a technician should inspect the filters, the insulation quality, and other installation components and make sure that the problem doesn’t happen again. 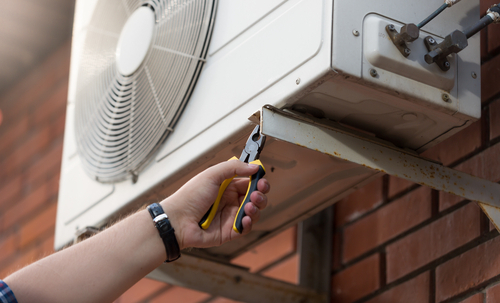 Just like dirty air filters, low Freon/refrigerant lower the pressure in your a/c, causing the coil to freeze. When the coils melts, the drain can’t keep up, there will be a leak. You can easily notice low on refrigerant, if for instance, the aircon isn’t cooling well or there is a hissing sound, then this is a clear indication that there is a refrigerant leak. What you need to do: Depending with the severity of the leak, you can either look for repair service or replace the whole system. Replacement may be the best cause of action, but contact your repairman for better suggestions depending on the condition of your system. There are many more problems that can cause air conditioner leak, but these few are the most common. Sometimes, when a small amount of water is coming from the A/C, you don’t need to do anything in particular. A Large amount of water or water that persists for few days, however, should be a cause for concern. Only a certified HVAC technician can be able to pinpoint the exact problem and give the best solution. Remember, 80 percent of the Aircon leaks are preventable through regular maintenance. Upon installation of your system, it is more than important, that you ensure the unit you get a rugged, high-quality system, with the correct size and should be installed properly. Get a qualified technician to inspect your air conditioner to establish the actual problem and determine the best solution for the leak.